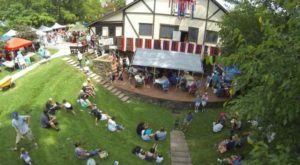 When you’re looking for a way to pass a warm spring day, look no further than Winterthur. 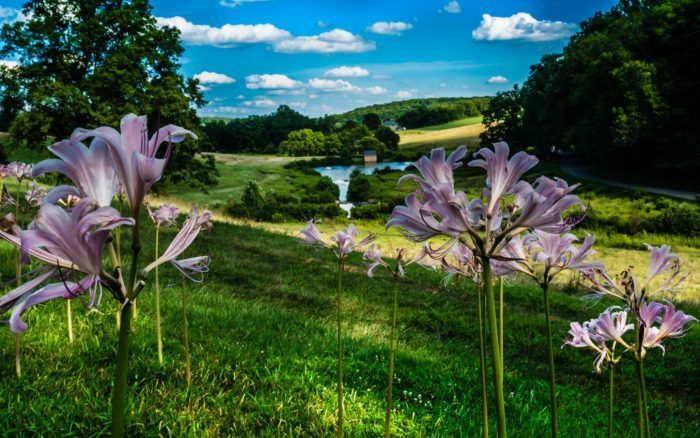 This stunning estate is home to a 175 room mansion, 1,000 acres of gorgeous landscaping, and a majestic fairy garden in their Enchanted Woods. 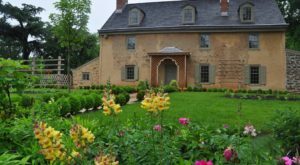 You may have heard of Winterthur, an elegant DuPont estate and garden nestled right over the border in Greenville, Delaware. At first glance, it seems similar to Longwood Gardens. 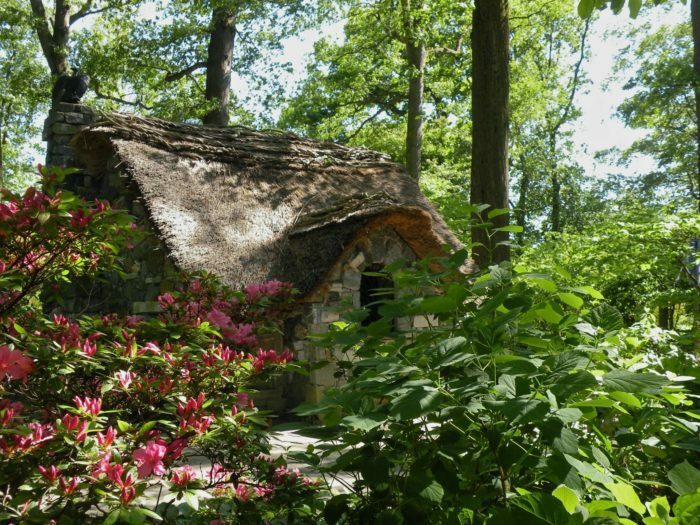 If you look a little closer, though, you'll see that Winterthur is hiding a magical secret. 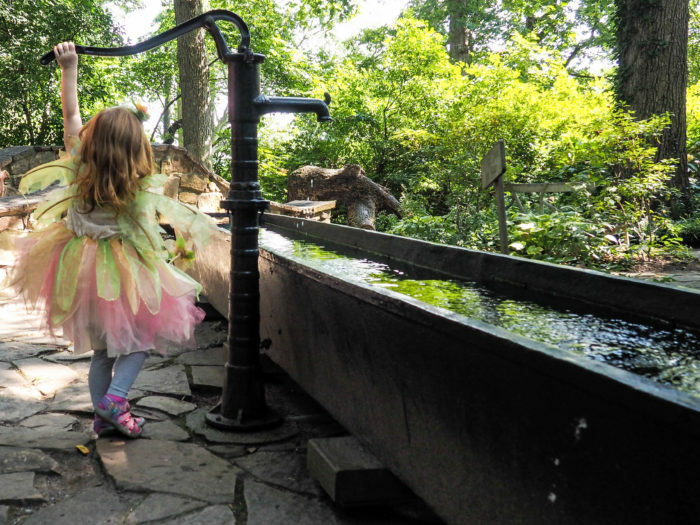 The Enchanted Woods at Winterthur is a wonderful playground for both children and adults to enjoy. 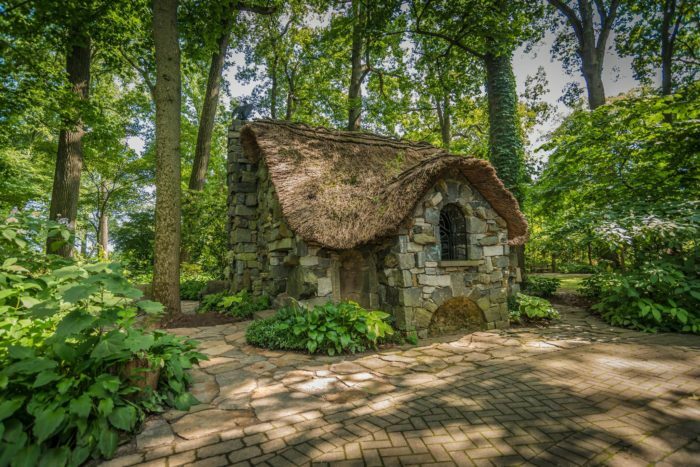 Legend has it that the children who once lived on this DuPont estate created a magical fairy world in their imagination. 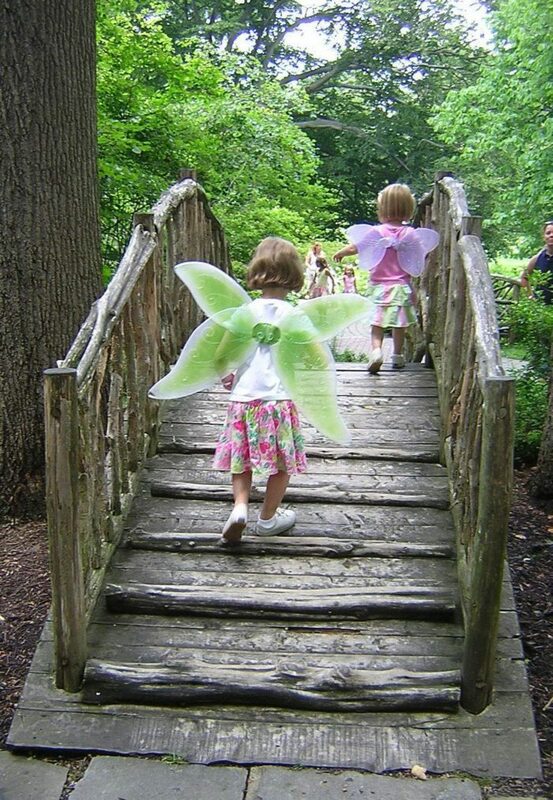 They passed their summers playing in these woods, and when the estate was converted into a museum, it took just a little bit of fairy magic to make their imaginary world come to life. 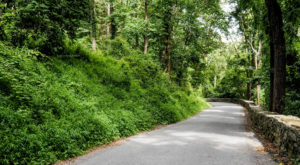 Wandering through the trails of the woods will take you to all sorts of magical place. 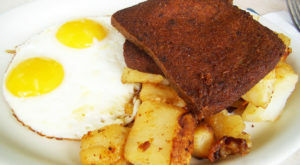 The Tulip Tree House is a favorite landmark. This old tree was converted into a play house - complete with fairy sized furniture! 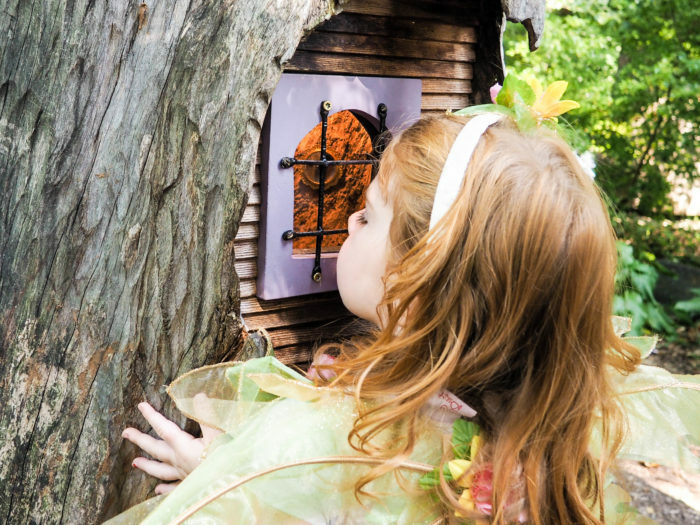 Throughout the Enchanted Woods, you'll find small treasures left behind by the faries. 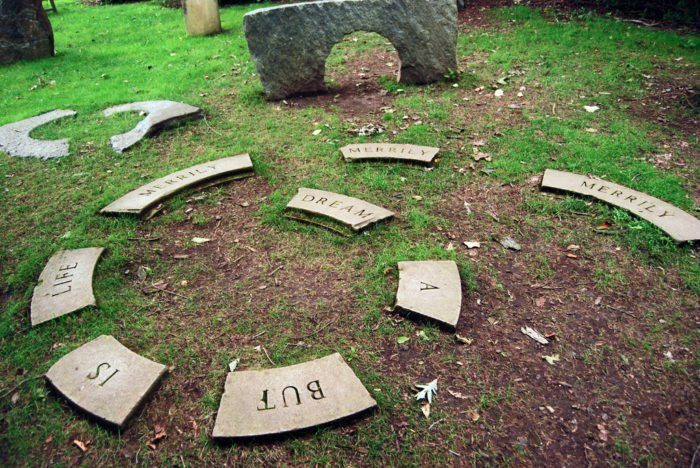 The story stones are the perfect place to relax and read a book, or hop from stone to stone to read out the poem they create! You'll have to be brave to cross the troll bridge, which is home to Soot! Soot likes to grab the ankles of those who dare cross his bridge. By the water, you'll meet Harvey the Frog. Harvey guards these waters. You'll also see various koi that make their home in the waters of the woods. The Gathering Green is the spot where fairies love to meet. Sit back and relax here for a while! Every spring, children, adults, and fairies alike celebrate May Day around the colorful May pole. The more you explore, the more you'll come to realize this is truly a magical, one-of-a-kind place. You can peek at the fairies lives in old, hollowed out trees. You can hang out in the large, music-filled birds next! 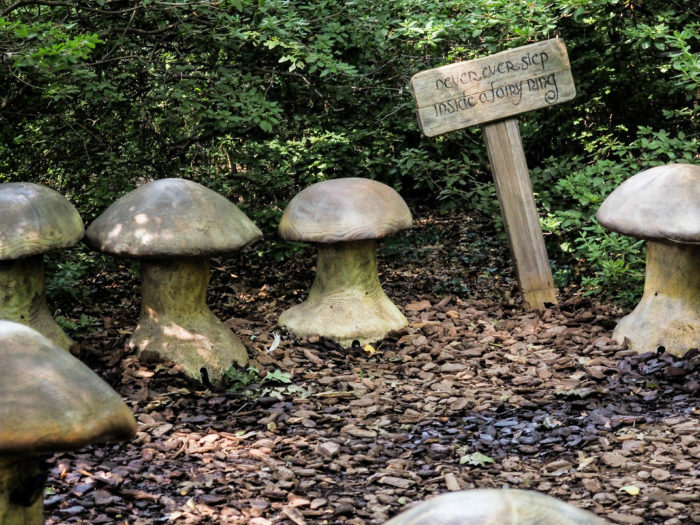 Whatever you do, though, never step inside a fairy ring! If you trespass into their mushroom circle, a fine mist will rise from the ground and you'll be whisked away to fairy land! 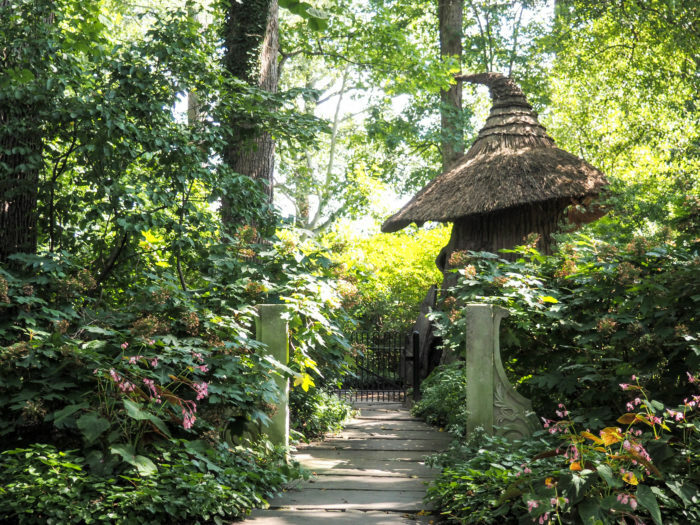 Beyond the Enchanted Woods, you'll find 1,000 acres of perfectly planned landscape architecture. 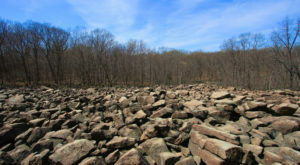 Be sure to take the free guided tour while you're here. 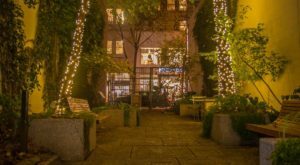 You'll learn about the enormous mansion, the legendary Japanese Maple tree, and more signature landmarks of this impressive estate. 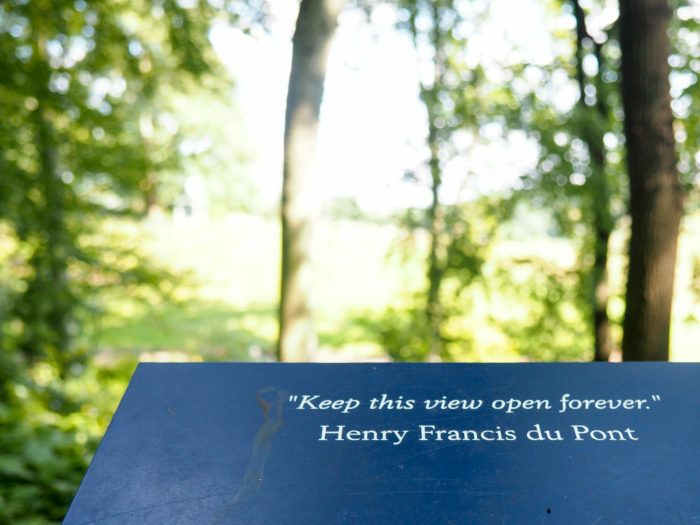 The legacy of Henry Francis DuPont ensures that all of Winterthur will be preserved for generations to come. 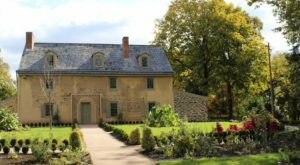 This interactive map of the Enchanted Woods will show you all that the magical section of Winterthur has to offer. 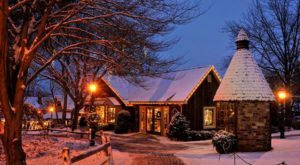 Visit the Winterthur Enchanted Woods website to check their hours and plan your visit. You’ll find this stunning estate at 5105 Kennett Pike (Route 52), Wilmington, DE 19807.